Today, the nine defendants in the Occupy Central case decide not to plead guilty in order to combat political prosecution and restore the authenticity of history. The aim of civil disobedience is not to challenge rule of law. Rather, striving for universal suffrage through this means ensures that laws will be made by people and receive proper public mandate, such that the authority of the law is consolidated and justice is upheld. Although some of the defendants have vowed to bear legal responsibilities, we must also consider whether the charges are lawful and reasonable, whether the presented evidence is in accordance with the facts, and whether the case sets a precedent that is detrimental to civil rights. A man of integrity has nothing to fear and nothing to hide. Several of the defendants have turned themselves in to the police on 3 Dec 2014, and were arrested on 24 Jan 2015. They were cautioned against the possibility of being charged with unlawful assembly. 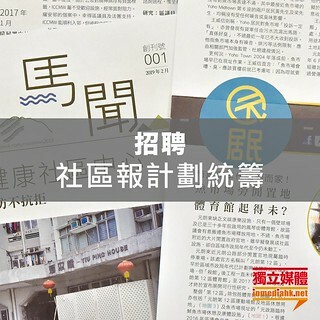 Had the government pressed such charges, the Occupy Trio and some of the defendants would not have filed legal defense. However, on 27 Mar 2017, the day after Carrie Lam was elected Chief Executive, the police arrested the nine defendants again, with charges aggravated to conspiracy to commit public nuisance, inciting others to commit public nuisance, and incitement to incite others to commit public nuisance under the common law. District court judge Anthony Kwok Kai-on, who was then presiding over the case, raised concerns on 15 Jun 2017 that the charges are based on the same set of facts and might be overlapping. In fact, no one in Hong Kong has ever been accused of the crime of incitement to incite others to commit public nuisance, and the High Court of Australia has ruled that it is unconstitutional to prosecute a citizen for such an offence. In addition, the crime of conspiracy is based upon the public speeches or interviews made by the Occupy Trio, and involves innumerable pickets, volunteers and supporters of the Occupy Central Movement. Once the charge is established, it will create a chilling effect on the Hong Kong public, and the government can purge the entire democratic camp in Hong Kong based on this precedent if they want to. Since these charges enable the government to abuse the power of prosecution and infringe on the freedom of speech and peaceful assembly, the nine defendants unanimously decided not to plead guilty. Benny Tai Yiu-ting and Chan Kin-man will testify in court and personally refute the government’s allegations and restore the authenticity of history. Righteousness resides in the public mind. The outbreak of the Umbrella Movement is triggered by the unconstitutional 831 decision and the use of tear gas by the CY Leung administration to violently suppress peaceful demonstrators. We have no regrets about participating in the Umbrella Movement. A movement can be crushed but not defeated. The prison can confine our bodies, but it cannot imprison our souls!